Barefoot in the Park: Newlyweds move into a new apartment with no furniture, the wrong paint, a leaking skylight, and wacky neighbors! A classic comedy! Performed by Laura Linney, Eric Stoltz, et al. The Odd Couple: Two legendarily mismatched roommates bring down the house in this classic comedy by America’s most successful playwright. Performed by Dan Castellaneta, Nathan Lane, et al. Plaza Suite: This hilarious comedy follows three brief encounters in the same suite at the famed Plaza Hotel in New York City. Performed by Ed Asner, Richard Dreyfuss, et al. The Prisoner of Second Avenue: Fast-moving dialog with nonstop Simon quips and jokes performed extremely well by two fine actors. Performed by Richard Dreyfuss, Marsha Mason, et al. California Suite: Four couples separately inhabit the same Beverly Hills hotel suite, bringing along their problems, anxieties, and comical marital dilemmas. Performed by Dennis Boutsikaris, Bruce Davison, Marsha Mason, and Amy Pietz. Chapter Two: Comedy and pathos mingle brilliantly in this portrait of a widowed novelist who fears he’ll never love again. Performed by David Dukes, Sharon Gless, Gates McFadden, and Grant Shaud. Brighton Beach Memoirs: In Simon’s first installment of his darkly funny semiautobiographical Eugene Trilogy, we meet his family in 1930s Brooklyn. Performed by Jonathan Silverman, et al. Biloxi Blues: The second hilarious installment of the trilogy follows a naïve Eugene Jerome through boot camp. Performed by Justine Bateman, et al. Broadway Bound: In the final installment of the trilogy, Eugene and his brother, Stanley, pair up to break into the world of comedy writing. Performed by Dan Castellaneta, et al. Lost in Yonkers: Set in Yonkers, New York, in 1942, two boys, aged 13 and 16, must spend one year with their austere and demanding grandmother. Performed by Dan Castellaneta, et al. This collection includes ten plays by Neil Simon. All of these had good, if not quite great, production values. There were a few flubbed lines and some of the audio titles are messed up, but the acting and audio quality are generally superb. I really enjoyed a few of these plays, but most I found entertaining yet they left me wanting. Virtually all of these plays seemed to me to be about eighty five percent of a truly great play. They have great characters, dialog, humor, wit, timing, but they we lacking the essential meaning that makes a great play far more than entertainment. I liked Prisoner of Second Avenue and Barefoot in the Park the best as, in addition to wonderful acting and characters, below the humor and plot there were undercurrents concerning desire and need that brings these plays to near greatness, yet even these left me desiring just a little something more. The Odd Couple did not move me, but was the most entertaining of the rest of the bunch. It was quite funny and delightfully played. some poignancy, but were just good entertainment. The Suite plays Plaza Suite and California Suite are a bunch of short scenes set in hotels. These were my least favorite plays in this collection as they didn't really take me anywhere. 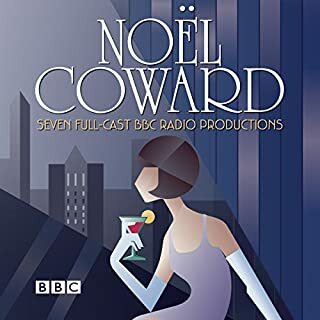 Overall this is a good collection of plays that I am glad to have listened to, but this is not a collection I will listen to again and again. No chapter headers or key. I gave up. I was really looking forward to this. I've seen some movies based on the plays. I enjoy the style, eras and actors. I had specific plays I wanted to hear first. When I listen, fiddly doesn't work. REALLY time consuming and annoying to have to listen to the beginning of each section to figure out what they were. Been a member for over 6 years. this will be the second item I've returned. If you could sum up The Neil Simon Collection (Dramatized) in three words, what would they be? A wonderful set of performances. 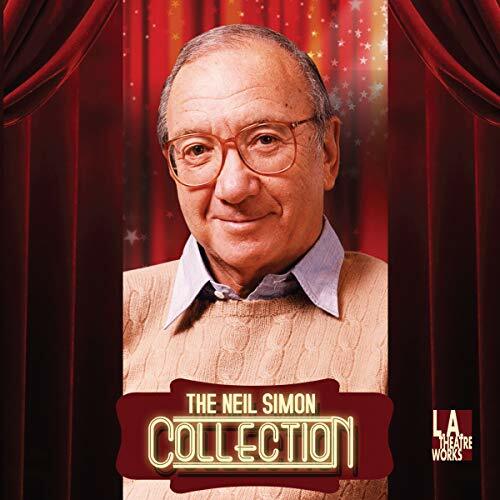 What did you like best about The Neil Simon Collection? What did you like least? I learned how lucky I am to be living in the "Media Age" of 2014 with so much good material at my fingertips. What was considered good stuff in the 1960s and 1970s when I was a kid now seems weak and barely interesting. There are a few of Neil Simon's plays I would listen to again, but I'd be in no hurry. Want good, old comedy? Try Moliere! 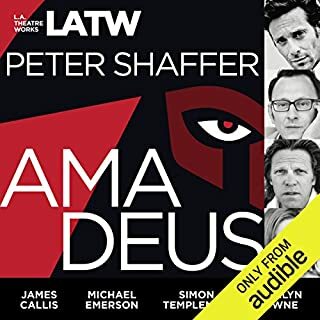 LA TheaterWorks does a good job casting and directing these radio performances. I just wish the material was better. Was The Neil Simon Collection worth the listening time? Audible could at least have listed the plays in the order they appear in the audiobook. There is no way I could jump around to find my remembered favorites. Helping readers navigate within books is something Audible is VERY POOR at and SHOULD IMPROVE, as I have commented several times already. Ten Neil Simon plays written between 1963 and 1991 makes for a great collection of listening pleasure - if you can take some, aah... less than modern mores and views on family and marriage that is. Not a fault of the plays. It's just that they were written and/or played out in times of different values and society customs. All but two of the plays are performed in front of a live audience. Production value is good and what's more important in (sort of) radio plays - sound is excellent throughout. 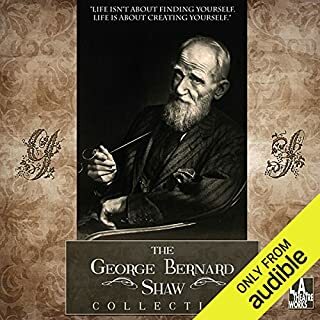 Not a collection you would want to (or should) binge listen to, but a play once and again between other books makes for good entertainment. What a treat! Neil Simon's masterpieces performed by great actors,most of whom have acted in his plays on stage, screen, or both. If you like great comedy leavened with some dark undertones, you will love this collection. His autobiographical trilogy is here, the Odd Couple, Barefoot in the Park, and more. My favorite actor, Richard Dreyfuss, is marvelous (if you have ever seen the Goodbye Girl you know why) and so is his costar from that film, Marsha Mason, who performs in a few of these plays. There is also some lovely commentary after a few of the plays which enriched my understanding of Simon's contributions to American theater. Perhaps the only down side is that at times the audio is hard to pick up, and too, some of the material is a little dated. But if you like wit, and if you're in the mood for some nostalgia, pick this one up. There are very few playwrights in American theater who had as many hits. You've been warned - it's Addictive! I'm only done with the part 1 of 3 and I am hating the fact it will end in some certain point. I'm not usually into theatre but this kept me glued. Characters were so well played with Neil's life stories. Totally worth the credit! 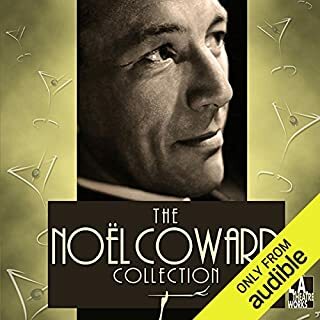 I used to love Neil Simon, and returned to this collection with great anticipation, but was struck but how poorly many of his works played here in late 2018. More than just changes in culture and mores, it seems like the plays were overly rooted in their time and place. The first play performed, Barefoot in the Park, benefits from an interview with the stage director who described his decision to present it as a "period piece", but aside from this play and his several autobiographical works, few of his other plays entertain as they once did. This revelation aside, what was truly surprising was the uneven audio quality of these plays. Some were performed in front of a live audience while others were produced as radio plays, but no matter, some of these were simply impossible to listen to clearly. This is all the more surprising since Audible specializes in the presenting the spoken word (and I've been with them from almost the beginning). I cannot fathom how Audible would allow these poor recordings to be presented. I'll be returning this book for this reason. 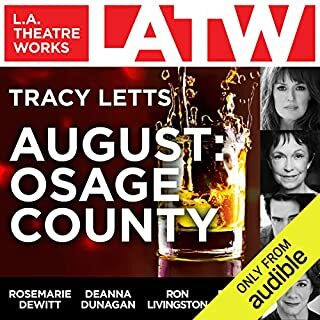 The works of an aging playwright that don't age as gracefully as they do I can forgive (and learn from) - poorly presented audio content from the leading producer of audio content cannot be so easily forgiven. 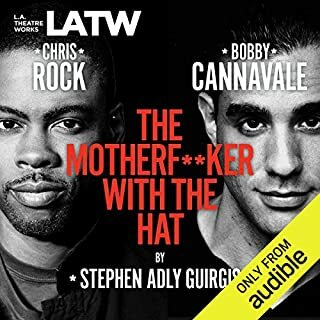 Your customers deserve better than this Audible! awesome collection. some of his best. funny, witty, and thoroughly entertaining, I highly recommend this collection to all Neil Simon or theatre enthusiasts. Another title that does not download. An awful app, minimal technical support and customer service. Neil Simons's plays are well known, a mixture of humour and heart-break. It's odd that LA Theatre Works allows the players' voices to be inaudible at times. Enjoy!